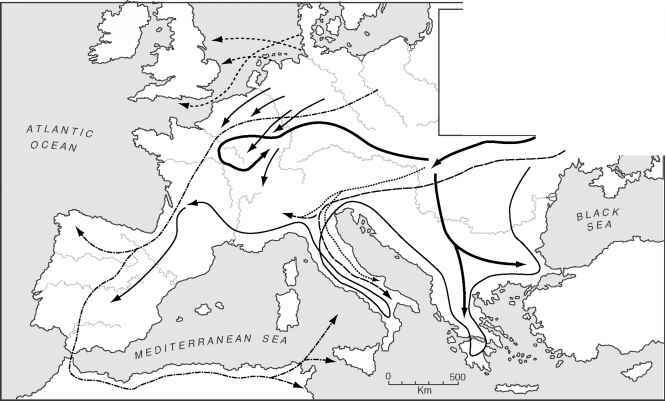 Figure v Invasions and Migrations of the Fifth and Sixth Centuries (After Pounds, An Historical Geography of Europe, 79). It has been suggested that well over a million foreigners crossed the Rhine and Danube frontiers during just one century, from circa 250 to 350 c.e.98 One would think that such significant migration would have offset Europe's pronounced population decline in late antiquity. But the "barbarians" themselves were ravaged by epidemics.99 Moreover, those barbarians who survived and then settled within the empire - becoming more sedentary in the process - suffered further from disease. 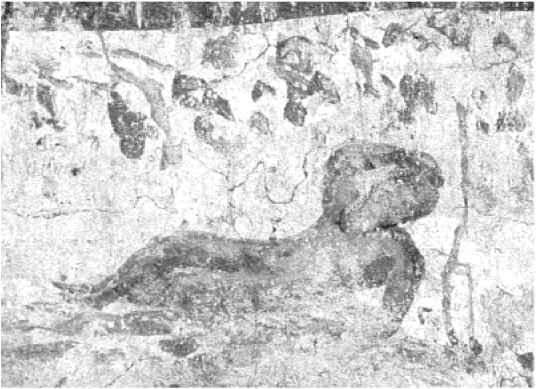 98 Whittaker, Frontiers of the Roman Empire, 231. 99 Boak, Manpower Shortage, 112, 128-129; Hopkins, Princes and Peasants, 23; E. A. Thompson, Romans and Barbarians: The Decline of the Western Empire (Madison: University of Wisconsin Press, 1982), 236; Zinsser, Rats, Lice and History, 136; Whittaker, Frontiers of the Roman Empire, 220-222. 100 Thompson, Romans and Barbarians, 16, 37, 239. 101 The chronicle does include one instance where Alans were opposed by local inhabitants. See Steven Muhlberger, The Fifth-Century Chroniclers: Prosper, Hydatius, and the Gallic Chonicler of 452 (Leeds: Francis Cairns, 1990), 176-177. 102 Clare Stancliffe, "From Town to Country: The Christianization of the Touraine, 370600." In The Church in Town and Countryside, ed. Derek Baker, pp. 43-59 (Oxford: Basil Blackwell, 1979), 45-48.
areas abandoned by Gallo-Roman landlords, and coexisting with what remained of the local Gallic-speaking population.103 What happened in Gaul happened in Spain. According to Isidore of Seville (570-636 c.e. ), epidemics devastated the indigenous population of Spain, paving the way for the "barbarians:"